Democrats and Republicans negotiated a tentative deal Tuesday night in which Sen. 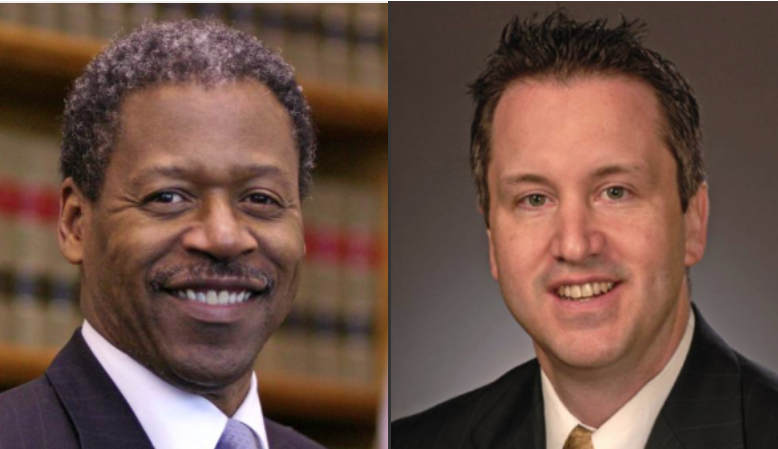 Rob J. Kane, R-Watertown, and Sen. Eric Coleman, D-Bloomfield, would resign Wednesday morning in a carefully choreographed arrangement freeing each legislator to accept new jobs while maintaining the balance of power in an evenly divided Connecticut Senate. Kane is an applicant for the job of Republican state auditor, while Coleman is said to be interested in an appointment to the bench. Each would be barred from accepting jobs in state government for the next two years unless they resign as members-elect of the General Assembly that takes office Wednesday. Kane met Tuesday night with Senate Minority Leader Len Fasano, R-North Haven, and House Minority Leader Themis Klarides, R-Derby, in Fasano’s office in the Legislative Office Building, where sources say the three legislators discussed the circumstances under which Kane could become auditor. None would say after the meeting that the paired resignations definitely would go forward, though Fasano acknowledged the outline of a tentative deal that would free him and Klarides to select Kane as auditor, cautioning that nothing was certain. Other than acknowledging he is an applicant for auditor, Kane declined comment. Coleman, the co-chair of the legislature’s Judiciary Committee, could not be reached. Democratic legislative sources confirmed the details of the tentative deal. Coleman is 65, meaning the window on a potential nomination to the bench is closing. The mandatory retirement age of judges in Connecticut is 70. But if Coleman resigns, he would be giving up his seat without a guarantee of an appointment, since he would have to clear the independent selection commission. The governor can only make judicial nominations from a pool of candidates reviewed and approved by the commission. A senior administration official declined to say if Gov. Dannel P. Malloy has signed off on naming Coleman to one of the judicial vacancies the governor plans to fill this year, but Coleman is known to be held in high regard by the administration and the governor. The auditors of public accounts in Connecticut are overseen by two legislative appointees, one Republican and one Democrat. The Republican spot has been vacant since the retirement last month of Robert Ward, a former House minority leader. Pay for the position starts at about $150,000, and the remaining auditor, Democrat John Geragosian, was paid $172,000 the last fiscal year. The appointment requires a vote of the legislature, but the appointment is up to Fasano and Klarides. Since the last vacancy went to the House, by tradition the choice rests with Fasano, subject to consent by Klarides. “We’ve interviewed a lot of fine candidates, and Sen. Kane is one of the fine candidates we interviewed,” Fasano said. Coleman is from a safe Democratic district, which includes Windsor and parts of Bloomfield and Hartford. Kane’s district of 10 communities outside Waterbury is a solid GOP district. If they resign, there would be three legislative vacancies. Rep. Stephen D. Dargan, D-West Haven, resigned as a member-elect Tuesday so he can accept a nomination by Malloy to the Board of Pardons and Paroles. All three vacancies would be filled by special elections.